On Saturday Welling United travel to Dulwich Hamlet for their fourth meeting of the season. Their first contest was a home league game on the opening day of the season. After a tight first half, Thierry Audel put Welling ahead in the 52nd minute then three minutes later, Dulwich’s Ashley Carew was sent off. After that it was comfortable for Welling and Jack Jebb added a second to give the Wings some breathing space. 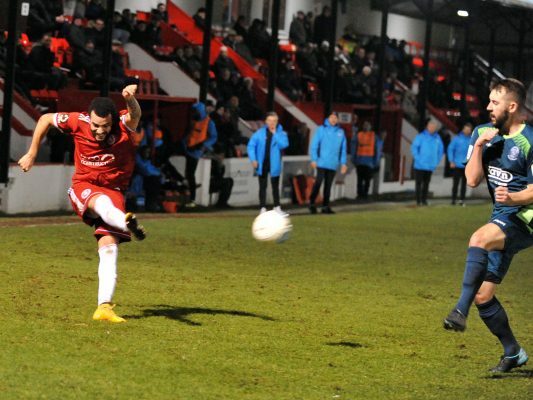 Three months later, Welling again hosted Dulwich, this time in the F.A. Trophy. Matt Paterson put the Wings ahead just after the half hour mark but Carew levelled from the penalty spot five minutes before the interval. That penalty was disputed hotly and was later proved to be unjust. Although Welling were the better side in the second half they were unable to force a winner and a replay was necessary. That took place at the Hamlets’ temporary home of Tooting and Mitcham and this time around, they were far better. 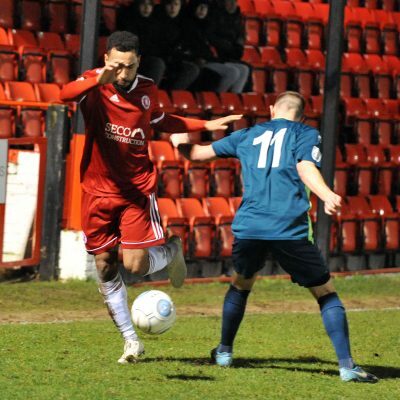 Nathan Green put them ahead in the fifth minute but Welling levelled twelve minutes later through Richard Orlu. There were fifteen minutes remaining when Dipo Akinyemi scored the winner. Since then, Dulwich have returned to their own home at Champion Hill and are again attracting big crowds however they are struggling a little and only have a five point buffer between them and the bottom three. They haven’t won in seven games since Boxing Day however they did claim a morale boosting point in their last game away to Concord Rangers. Welling finally ended their midweek floodlight jinx on Tuesday night when defeating Chippenham Town. It was a tough match and looked like being another long evening for their supporters when Karnell Chambers put the Wiltshire side ahead. After that Welling had the vast majority of the game with Chippenham only having rare counter-attacks but it was not until Gavin McCallum came on that they really looked threatening. He was involved in the move from which the Wings drew level, Brendan Kiernan finishing for his tenth goal of the season. Josh Hill twice had goal-bound efforts deflected off target but his luck turned when he met Kiernan’s cross and his header clipped a defender and looped into the net. That left them in sixth place going into the game on Saturday. This entry was posted	on Thursday, February 7th, 2019 at 4:45 pm	and is filed under Football, Non-League Football. You can follow any responses to this entry through the RSS 2.0 feed. Both comments and pings are currently closed.